QR codes can easily be generated; all you need is a computer or a smartphone. However, sing QR codes correctly is just as important to its success. Here are 3 top tips for successfully using QR codes. Do they even know what a QR code is? Congratulations. You finally got your QR code generated and itâ? ?s there for the world to see. But, do they even know what a QR code is? QR codes are meant for smartphone users (unless you have one of those top-secret Motorolas developed in the late 80s; useless at everything else but could scan QR codes and could kill an elephant if thrown hard enough). However, research has shown that 3 out of 4 smartphone users do not know what a QR code is, let alone scan it. When displaying your QR code, make sure to include instructions so that 75% of smartphone users know exactly what to do. And by instructions, we donâ? ?t mean a sign that says â? ?Scan thisâ?. Full technical documentation is not recommended, but some simple steps of instruction would be appreciated. Chances are you will be using the age old ploy of offering exclusive and unique content in order to tempt people into interacting with your QR code. However, make sure that the content that the user is being redirected to is worth the effort they put in for scanning the code. That very popular YouTube video of a water-skiing squirrel does not count as â? ?exclusiveâ? content. If the content you provide is not worth it, consumers will see it as a breach of trust and that reflects very poorly on the overall brand image. It may be the real estate agentâ? ?s mantra, but location is just as important in the world of QR code marketing. Think before deploying QR codes at a certain location. Are you patting yourself on the back for securing prime ad space in a subway station? Well donâ??t. It is impossible to catch a cell phone signal in a subway station. What are people supposed to do when they scan your QR code and the browser fails to open the relevant website? Similarly, donâ? ?t be the guy who puts up a QR code on a hoarding at the side of a highway. Do you honestly expect people to pull over just so they can scan your QR code? Think about the location before putting a QR code there. Yes, QR codes are not the prettiest things to look at. However, that does not mean there isnâ? ?t anything you can do about it. 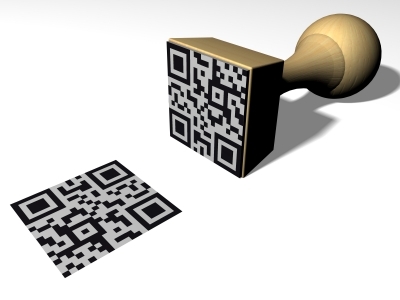 QR codes can be modified to a certain extent without making them unreadable or sacrificing embedded information. A few simple modifications using Photoshop can go a long way in making a QR code look more attractive. In fact, it is possible to have QR codes as a part of designs and logos. Have a QR code that redirects people to a Twitter account? Why not have a blue bird embedded in the QR code design. Follow these 3 simple tips and you will be able to explore the full potential of a successful QR code marketing campaign. Mathew Ronalds is an avid blogger and author of this guest post. He helps provide latest techology tips through his articles.